The Four Winds BioBlitz features two fun-filled days of music, nature and shared creativity. Four Winds, in partnership with the Atlas of Life, is proud to announce a collaborative and unique event near Bermagui on the Far South Coast of NSW (www.fourwinds.com.au) that features two fun-filled days of music, nature and shared creativity. Everyone is welcome to join over 60 guided surveys including flora walks, reptile hunts, peacock spider searches, night-time moth and possum surveys and motion sensitive camera trap discoveries. Data collected at this unique citizen science event will be recording a baseline of the ecological communities at the Four Winds site which will then allow for monitoring, and the planning of ongoing rehabilitation projects. Students from local schools and the Bournda Environmental Education Centre will participate on the Friday. The Four Winds BioBlitz will have a creative twist, including a free music concert by the popular Indie string quartet FourPlay at lunchtime on Saturday. Additionally, using the scientific information collected, a number of artists will be onsite to create new botanical illustrations and creative photography projects. All those interested are invited to book for classes in either medium. The Atlas of Life is also conducting a photographic competition in association with this event. For details check the website. 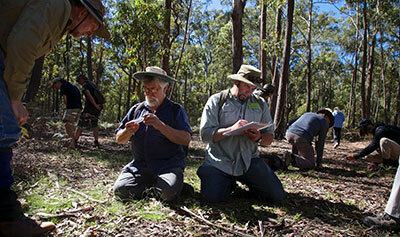 This synthesis of science and creativity is proudly supported by Local Land Services NSW, Arts NSW, Australian National University, Bega Valley Shire Council and the National Parks & Wildlife Service NSW. This uniue community event is made possible by the dedication of the Four Winds Board to the rehabilitation of their Barragga Bay site and the Atlas of Life’s commitment to the preservation and celebration of the flora and fauna of the Sapphire Coast. Atlas of Life is a member of Inspiring Australia’s Sapphire Coast Science Hub.